Everyone has written a eulogy for Nelson Mandela, I unashamedly shed a tear. I knew that he would pass away as we all must, but I did not expect to feel his passing as though he was my own kin. Sadness, loss, grief and loneliness boil away in my soul as though I had lost my best friend. Yes he was a hero of mine. And yes I lived in southern Africa during the decade that straddled his extraordinary transition from prisoner to democratically elected president. And yes I experienced the palpable change in everyone on his release — it was heady to live through history. And yes, I could not believe that any one man could be so courageous and so compassionate at the same time, or hold on to both for so long. I still can’t. It was a miracle. And because in worldly terms he was no saint he should be remembered as one. All of this I know and many millions more will glimpse these things as the world pays its respects to greatness and genius. But it does not fully explain my upset. Somehow nerves have been gripped and emotion seared by the passing of a man I never met on a continent an ocean away. And I think it is the combination of courage and compassion that I lament. Mandela held up for all to see this essence of true leadership that is so despairingly rare. And now he is gone. I feel the loss deeply. For right now it is leadership that we so desperately need. No doubt my emotions will settle in time and maybe words will come that might help others understand his greatness, for hope will linger in his remembrance. 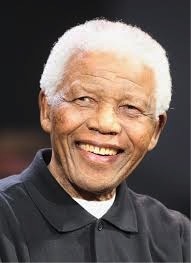 Just now it is hard not to weep uncontrollably for Madiba. This entry was posted in Leadership and tagged Awareness, leadership. Bookmark the permalink.